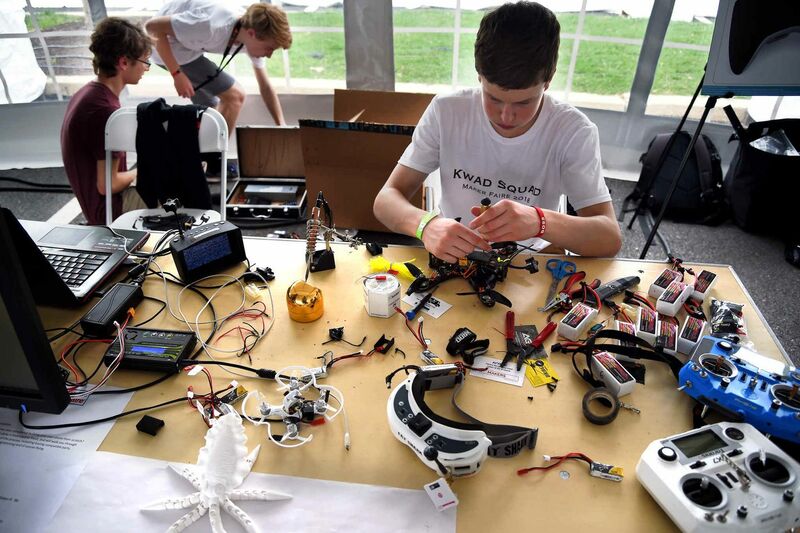 Sixteen year-olds Kevin Fallon (at table), Sam Weissman (rear, left) and Nolan Gelinas work on their drones as part of the "Kwad Squad," a group of Philadelphia and New Jersey suburban high school classmates and family friends. Drone laws may expand this year to allow for remote flight. Emerging aerial technologies are already starting to play a much larger role in our daily lives. More than a million Americans own personal drones these days. Some are used for commercial operation, such as filming, inspecting rooftop property damage, or checking cellphone towers. A company in Iceland is making food deliveries via drone, while UberEats plans to integrate the use of food delivery drones by 2021.